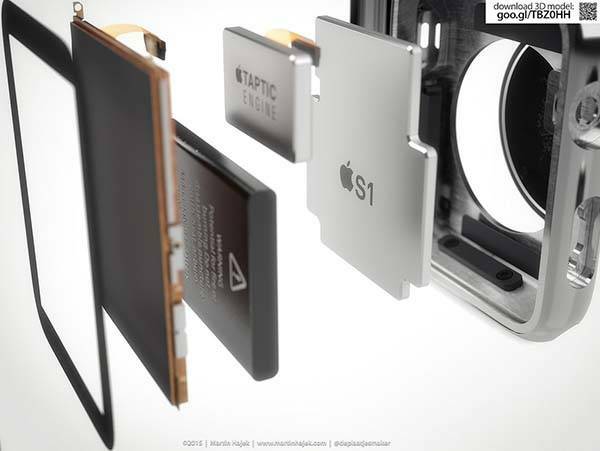 Following Rose iPhone 6s design concept, Martin Hajek brought another charming 3D rendering. 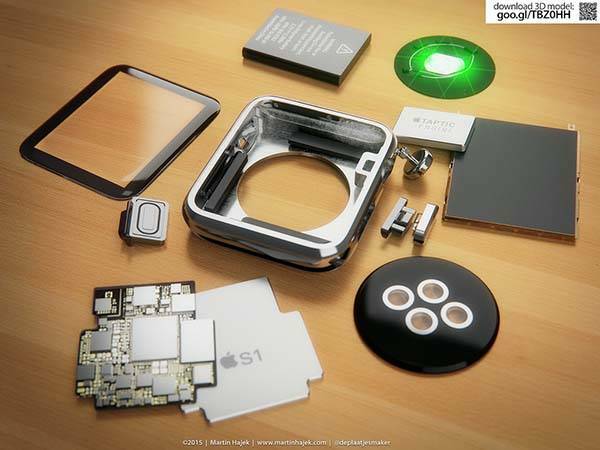 The 3D rendered Apple Watch teardown will display the meticulous internal detailing of the smartwatch. 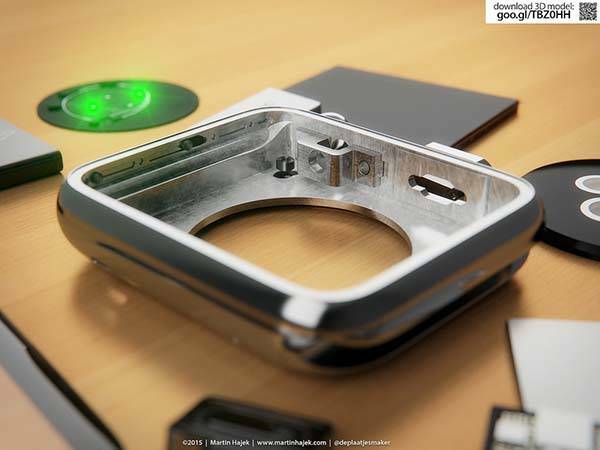 The senior designer created these detailed 3D models of Apple Watch’s components based on the videos published by Apple. 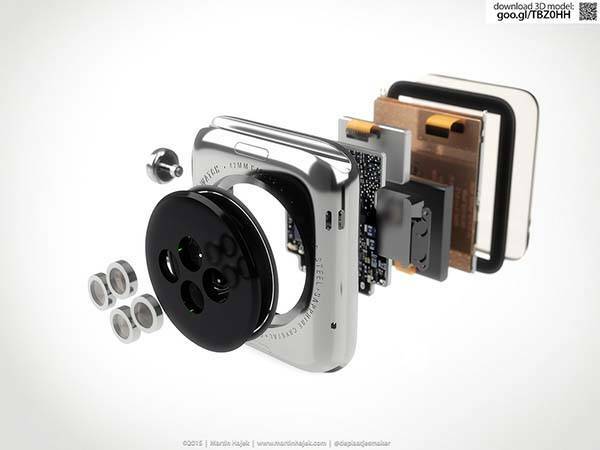 The components include chic casing, advanced heart rate sensor, excusing digital crown, S1 chip, and etc. 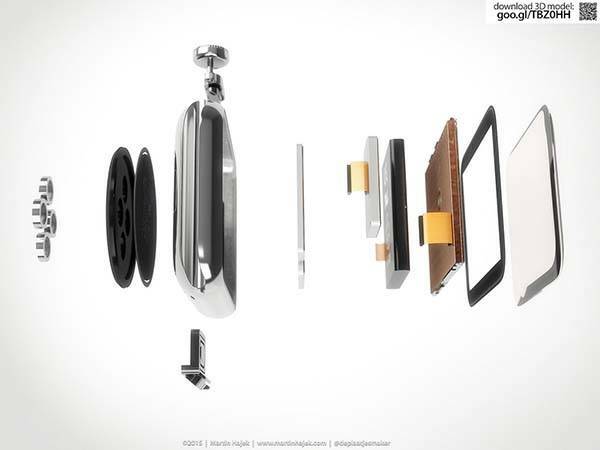 The 3D rendered images show us the placement of the components in the shining casing, and the designer has released the 3D model files. 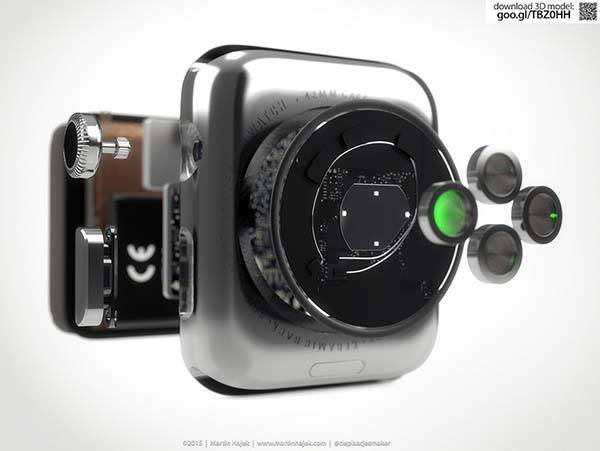 You can get it from Martin’s website in order to tear down the virtual Apple Watch by yourself.